Hamilton County Commissioners are officially asking a federal judge to intervene in their Metropolitan Sewer District (MSD) dispute with Cincinnati. The board voted unanimously Wednesday to ask for a ruling on which body gets to set policies for the district. 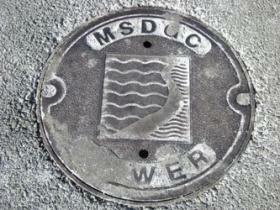 The sewer district is owned by the county but operated by the city. The sides have been at odds over hiring and procurement policies instituted by the city. County Commissioners argue the policies are unfair and in some cases illegal. City attorneys and a majority of council members disagree. Cincinnati Council Member Chris Seelbach says, 'The City's legal department is very confident in our ability to set policy for MSD. It's time for County Commissioners to release the funds and get Cincinnati people to work!" Commission president Chris Monzel says the goal is to have the issue decided once and for all. But he's careful not to call the action a lawsuit against the city. "I think 'suing' is probably not the correct word but rather asking for a judicial interpretation on the roles and responsibilities of the county and the city in regards to the operation of the Metropolitan Sewer District." County attorneys are expected to file in federal court this week. Monzel says county and city attorneys are meeting Wednesday to discuss the filing. "They want to give (the city) an opportunity to say 'yes, we'll participate or not' then we have to change some of the words with the city in there." He expects a decision could take several weeks. In an emailed statement, Build 513 VP Clement Tsao writes in part: "We are requesting, under Ohio’s open records law, that the County disclose its contract with Dinsmore & Shohl, the high-priced firm they are paying to sue the city of Cincinnati over an ordinance that promotes local job training." Build 513 is part of Laborers' International Union of North America. Hamilton County Commissioners are retaining Dinsmore & Shohl to review their plans to take the city of Cincinnati to court over a sewer district dispute. The law firm is being asked to prepare the county's case and offer an outside opinion on which government entity it thinks is right. At issue is whether the county or the city gets to set policy for the Metropolitan Sewer District. The county owns the utility but it is operated by the city. Hamilton County Commissioners are retaining outside legal counsel in their fight with the City of Cincinnati over the Metropolitan Sewer District (MSD). The city and county disagree over who gets to set policy for MSD - the county which owns it, or the city which operates it. Commissioners voted 2-1 with lone Democrat Todd Portune dissenting. The debate over who sets policy for the Metropolitan Sewer District of Greater Cincinnati (MSD) is headed to a federal judge. "We're beyond the negotiation phase," says Hamilton County Commissioner Greg Hartmann. Hamilton County Commissioners and the City of Cincinnati are at odds over several city-instituted hiring procedures. The county says the hiring rules are illegal under Ohio Revised Code but the city argues it has home rule which trumps the O.R.C. 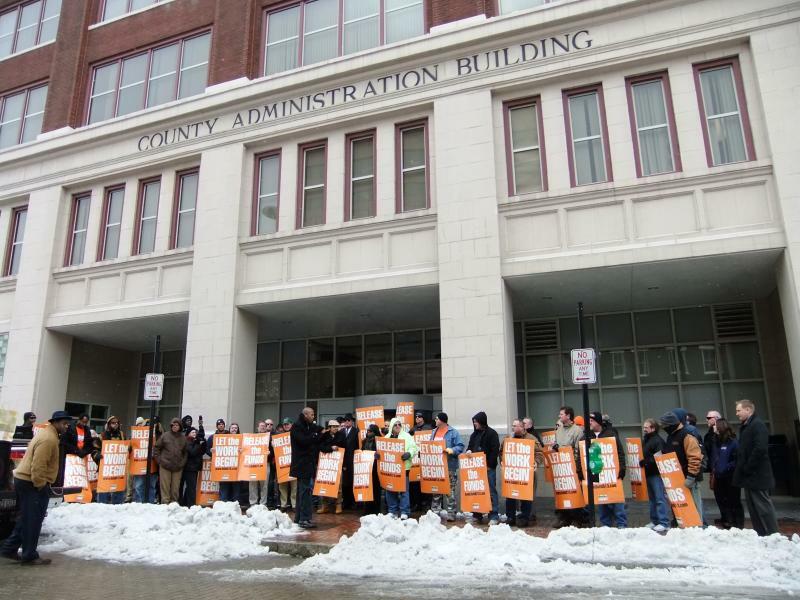 Several dozen people rallied outside the Hamilton County Administration building Thursday calling on County Commissioners to open bidding on several Metropolitan Sewer District projects. Build 513 supports the City of Cincinnati's Responsible Bidder Ordinance, which among other things requires contractors have a 5-year record of graduating apprentices.